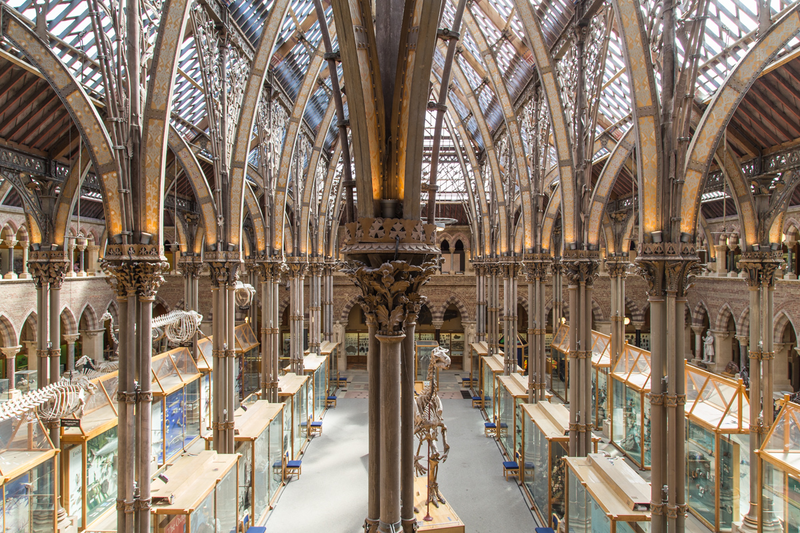 The Museum is a stunning example of Victorian Neo-Gothic Architecture. The design of the building by Architects Dean and Woodward, was selected in a competition held by the University to design the new home for science at Oxford. The Museum holds collections related to the history of its building, including designs, plans and papers. To access these please email the Library and Archive Collections at library@oum.ox.ac.uk. The University Archive, The Bodleian Libraries, and the Ashmolean Museum also hold papers and designs related to the architecture and decoration of the Museum. Please contact those intuitions for access to their collections.